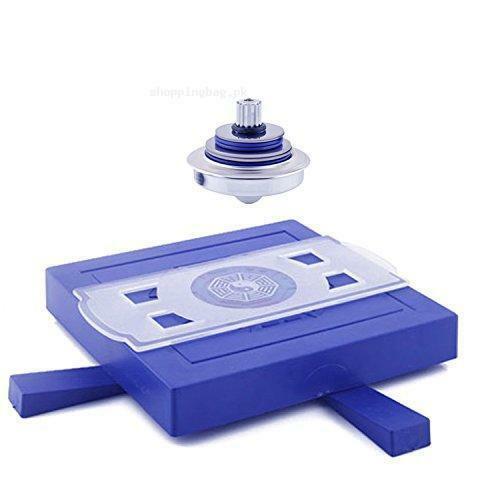 The premium quality Gosear Magnetic Levitation Gyro Toy is best educational magnetic levitating toy for kids, as it gives the clear concept of gyroscope theory. You can adjust and customize the weight of flying saucer. Weight of flying saucer helps it to balance above magnetic levitating platform. You can buy the imported gyro toy of magnetic levitation from shopping magnetic levitation toys online in Pakistan. Miraculous Magnetic Levitation Gyro Magic UFO Suspended Toys Magnetic Levitation UFO. Maglev UFO is based on the principles of physics, the magnetic field and fixed axis gyroscope theory. with the flying saucer weight, precise adjustment objects balance maglev UFO mysteriously into the vacant fly floating state. It is beneficial for developing the intelligence. The scenery of suspension is unique and fantastic.